I'm so excited to talk about dresses with you today! I knew I wanted something unique when I started shopping for dresses, and Asher Bridal has you covered! Tanvi (the woman behind the dress) is so incredibly talented, and a total pleasure to work with. Can we talk about this hair though? I WANT IT! If you've been to Rochester, chances are you've stopped by the Park Avenue area, and shopped at Peppermint for all the cutest clothes and accessories (if you haven't, get on it!). The talent behind Peppermint, Tanvi Asher, just launched a new line, Asher Bridal, featuring exquisite handmade dresses, perfect for the indie bride! Tanvi's desire to create clothing worthy of memories comes to life in these dresses. Her work is the perfect balance of pageantry and intricate craftsmanship. The fine details she creates for your big celebration are made with such care. Chrissy Conors captured these images for Asher Bridal, and they couldn't be more fun and beautiful! Also, can we talk about that hair? World Hair did a fantastic job, and are just around the corner from Peppermint! I love how these dresses really balance whimsical vibe and a bold statement. I love the non-white colors! A wedding dress with a punch! I think Asher Bridal beat Vera Wang to the party!!! Her newest work, among other local designers will be featured at her brainchild fashion event, Sewn Seeds on March 29th at Good Luck Restaurant! Tickets go on sale today so don't miss out! Stay tuned for more to come, and be sure to send anything you're looking to see featured to me at hello@sugarandtype,com. 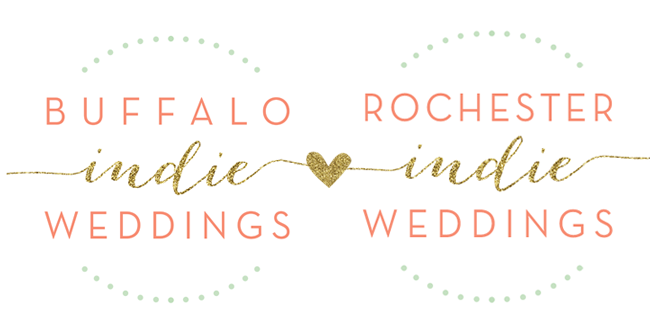 Don't miss our next bridal show on March 1st at The Foundry Suites in Buffalo NY!